Wish I was walking there now... :) Very busy at work; trying to find the time to catch up on comments. Hope everyone is having a good week so far. Have a great day! Nice beach scene ,wish I were there too! 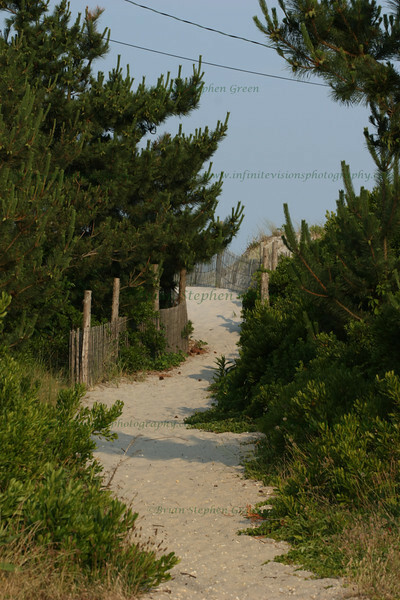 Walking to the beach down these kind of paths is the best feeling! Nice S comp. Great capture of the path to fun in the sun. I feel the exact same way -- life is just too hectic right now. Thanks for allowing me to relax at least a moment, while looking at this wonderful peaceful shot! Nice! Looking forward to our week at the beach, but that's a long way off. Very inviting scene.